Polyethylene terephthalate (PET) is the most common thermoplastic polymer resin of the polyester family, and is used in fibers for clothing, containers for liquids and foods, thermoforming, and manufacturing. 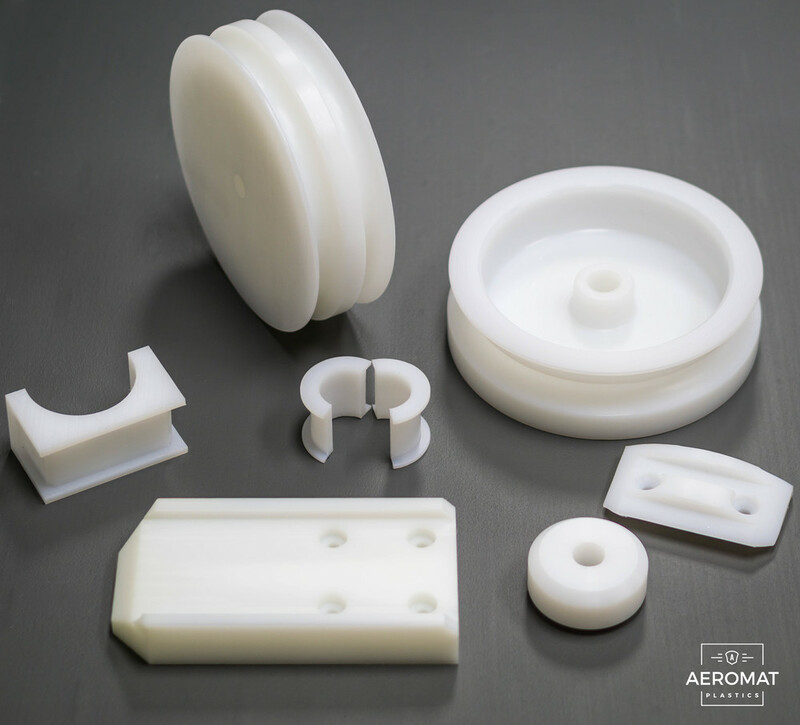 Today we are going to take a look at the type of PET we use here at Aeromat Plastics, which comes in solid machinable shapes. PET is a strong, hard, and dimensionally stable material that absorbs very little water. It has good gas barrier properties and good chemical resistance except to alkalis (which hydrolyse it). PET's crystallinity varies from amorphous to fairly high crystallinity; it can be highly transparent and colorless, but thicker sheets are usually an opaque white. What is PET used for? 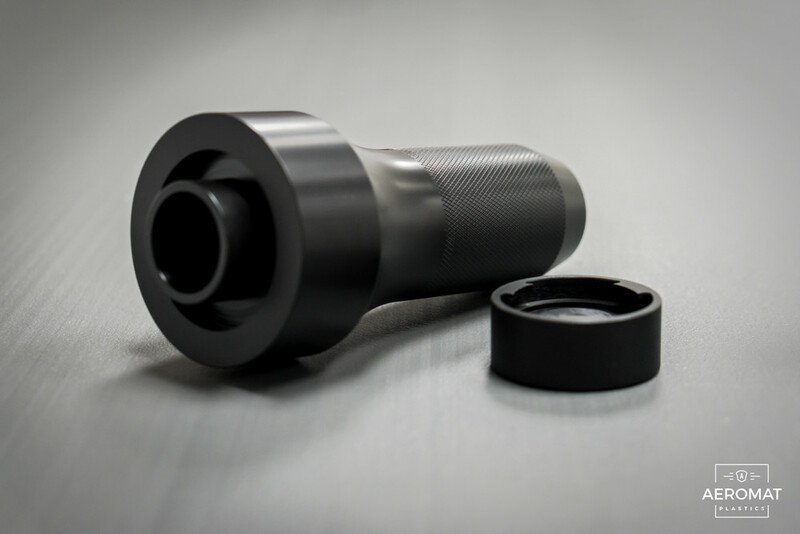 In the world of machining, PET is a cost effective, dimensionally stable material that can be used in a wide variety of applications. 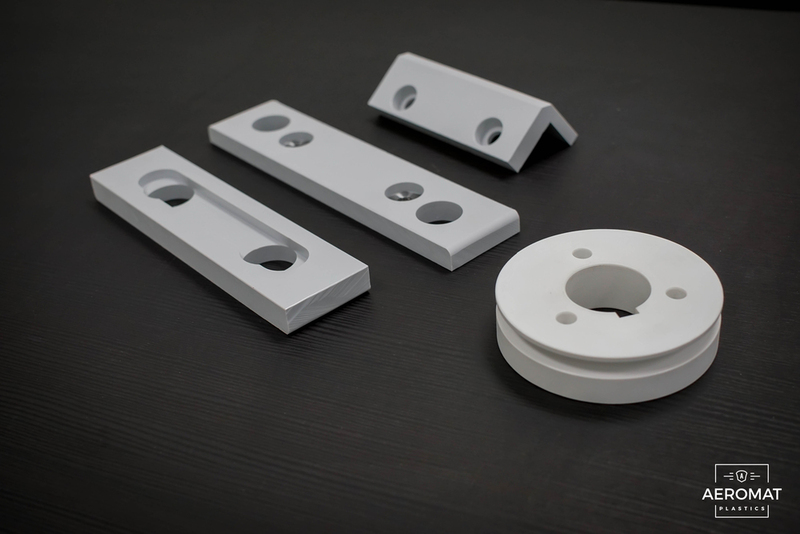 From components inside scientific equipment, to pulleys on industrial machines, PET is a versatile material that can be used in almost any industry. Yes, in fact, it is the most widely used material for plastic bottles and food storage containers. You can download a copy of PET's mechanical properties by clicking here. Chances are that you come in contact with High Density Polyethylene on a daily basis. It is used in many common consumer products including plastic bottles, food containers, plastic lumber, and much more. High density polyethylene (HDPE) or polyethylene high density (PEHD) is a polyethylene thermoplastic made from petroleum. In 2007, the global HDPE market reached a volume of more than 30 million tons. Yes, in general HDPE is FDA Approved. As with all materials, you should ask your plastics distributor to verify this information as there are many manufactures of HDPE. Yes! HDPE is a highly weldable product, and is actually one of the "easier" materials to hot-air weld. What colors is HDPE available in? HDPE is available in nearly any color! In short, yes. 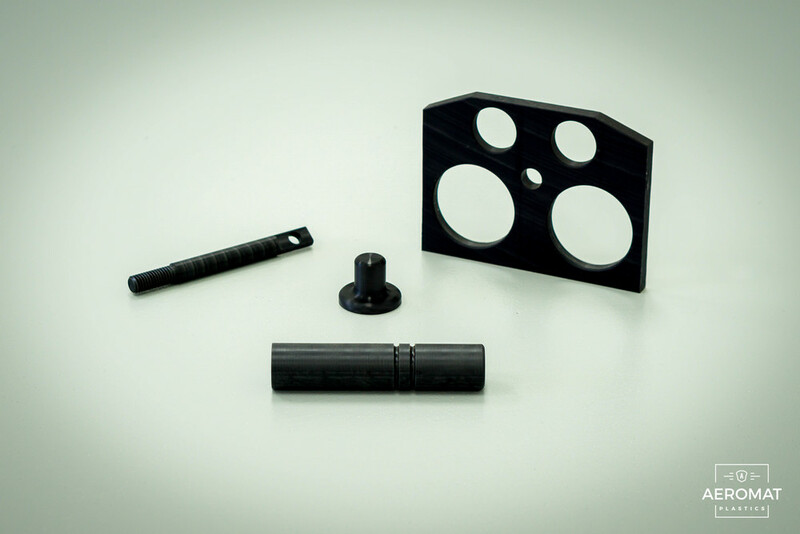 HDPE is commonly used in applications where chemical resistance is a necessity. It's important to note, though, that HDPE is not a one-size-fits-all for chemical resistance. To find out if HDPE fits your application, you can download a chemical resistance chart by clicking here. You can view UL's list of HDPE's typical mechanical properties by clicking here. Ultra High Molecular Weight Polyethylene aka UHMW is one of the most commonly used thermoplastics materials in the world. 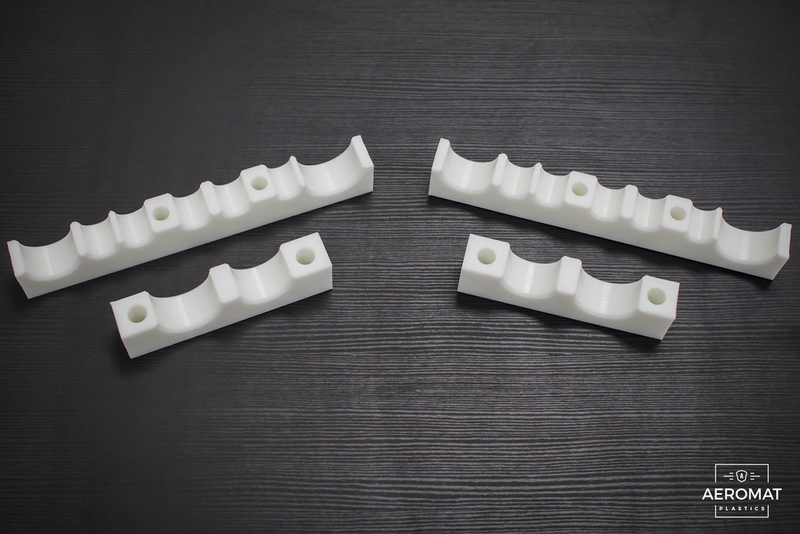 There are many reasons for this, but most engineers love UHMW for its excellent abrasion resistance, low coefficient of friction and it's tremendous impact resistance. What does ultra high molecular weight mean? Standard High Density Polyethylene has a molecular weight of between 10,000 and 100,000. UHMW has a molecular weight of between 3,000,000 - 6,000,000. The extra molecular weight of UHMW give it special properties that allow the UHMW materials to perform well where lower molecular weights fail. Abrasion, chemical, and impact resistance are all areas that the higher molecular weight flexes it muscles. UHMW has an extremely wide array of uses, and is found in nearly every industry. To list just a few, UHMW is found in body joint replacements, gears, packaging machines, dump truck liners, bearings, and synthetic ice. UHMW is widely used in the food industry, and in general comes with FDA approval. It is important to note, though, that not all UHMW is FDA approved. Be sure and check with your plastic dealer or material manufacture before putting it to use in food applications. Yes and no. In general UHMW is not weldable, but there are a number a UHMW materials on the market that can be welded. Make sure to ask for weldable UHMW specifically when looking to order it from your plastics dealer. What colors does UHMW come in? UHMW can be found in nearly any color! 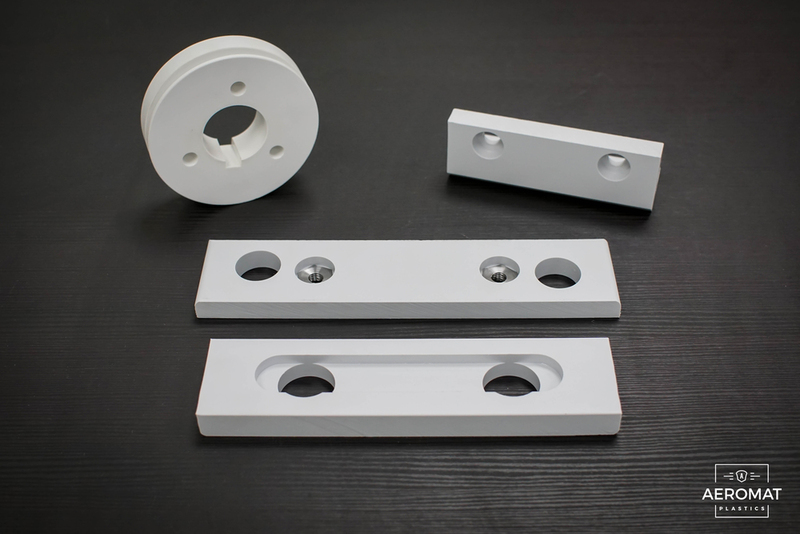 Most commonly you will find UHMW stocked in virgin natural (white) and black, but material manufactures have many other colors available purchase. The typical properties of UHMW can be found here. It is important to note that these are generic properties and you should request to see that material manufacturer's data sheet to verify any given property. 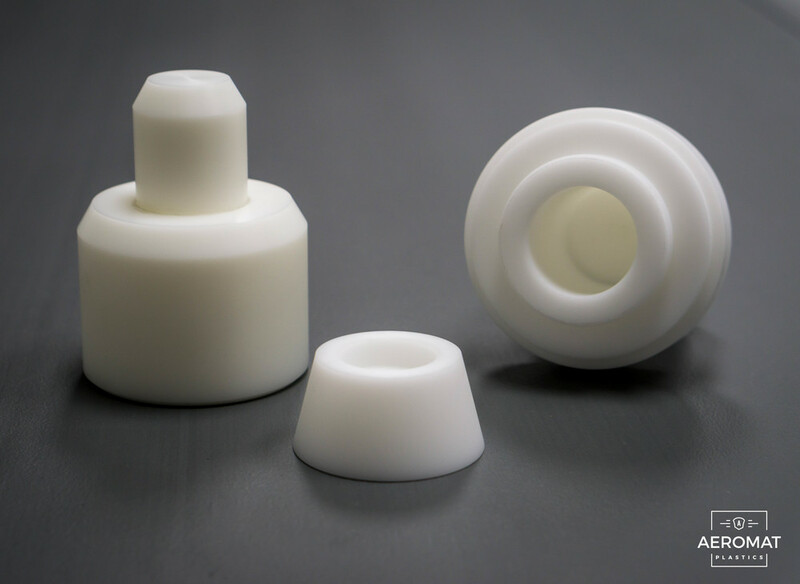 Before we dig into talking about Acetal, an important thing to note is that although Delrin and Acetal are similar materials, they are not the same! 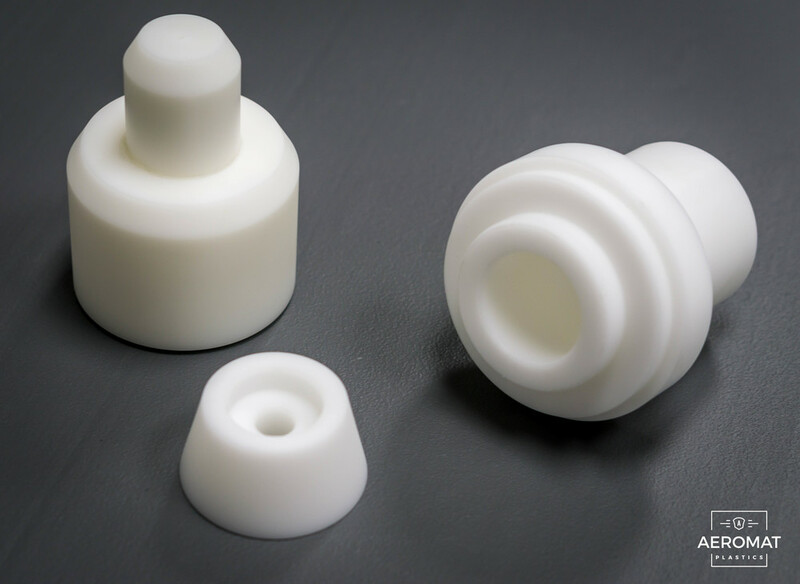 Delrin is a DuPont trade name for acetal homopolymer, while the name "acetal" is most commonly referring to acetal copolymer. The difference between them is slim, but worthy of mention. 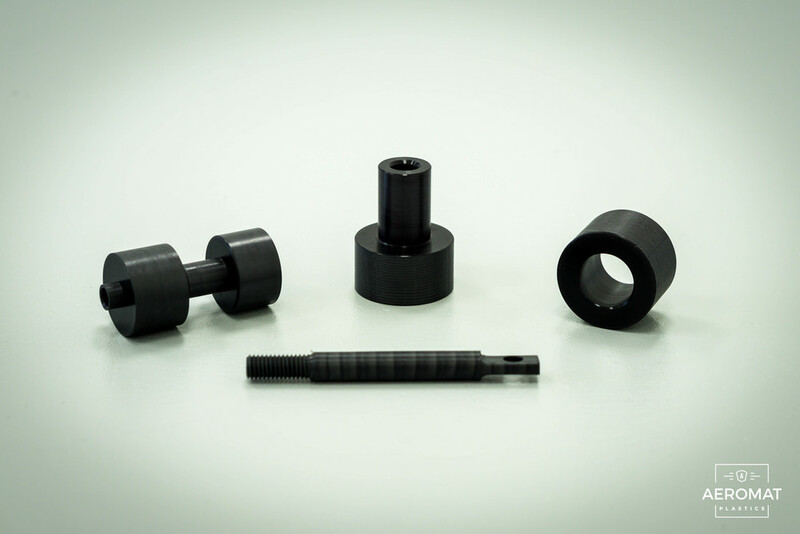 The acetal resins are among the strongest and stiffest of all thermoplastics, and are known to have great fatigue life, low moisture absorption, high solvent and chemical resistance, and excellent electrical properties. Because of these properties, acetals often compete with nylons for many of the same applications. 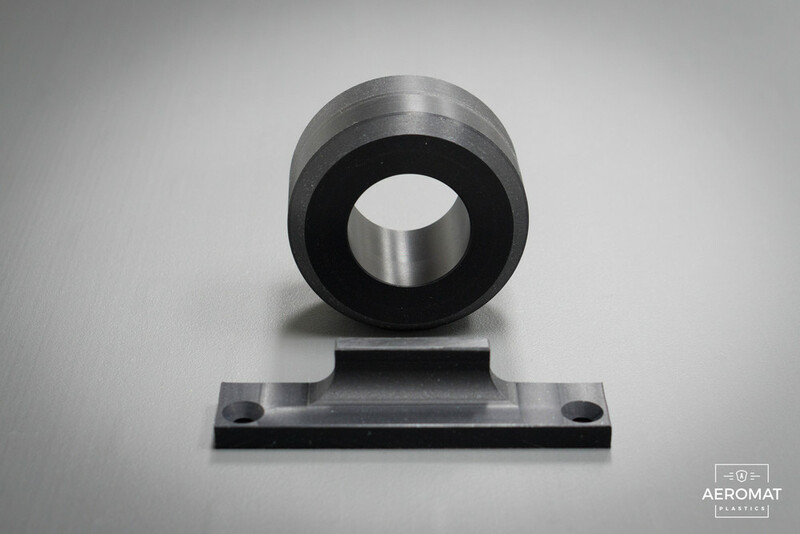 Bushings, gears, bearings, rollers, and wear strips are just a few common examples of how acetals are used. 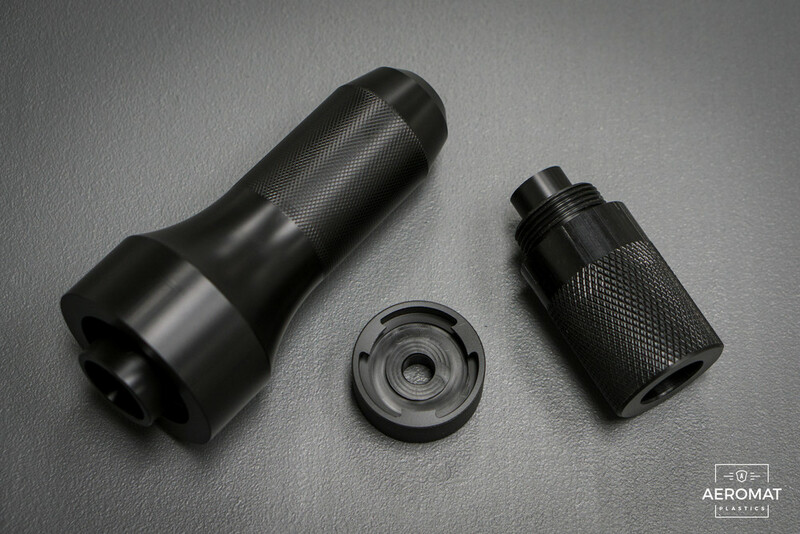 This is a tricky question to answer, mainly because there are a number of manufactures of acetal. Some manufactures have their acetals FDA approved, and others do not. For this reason alone, its important to ask your plastic dealer or material manufacture for a data sheet on the material. 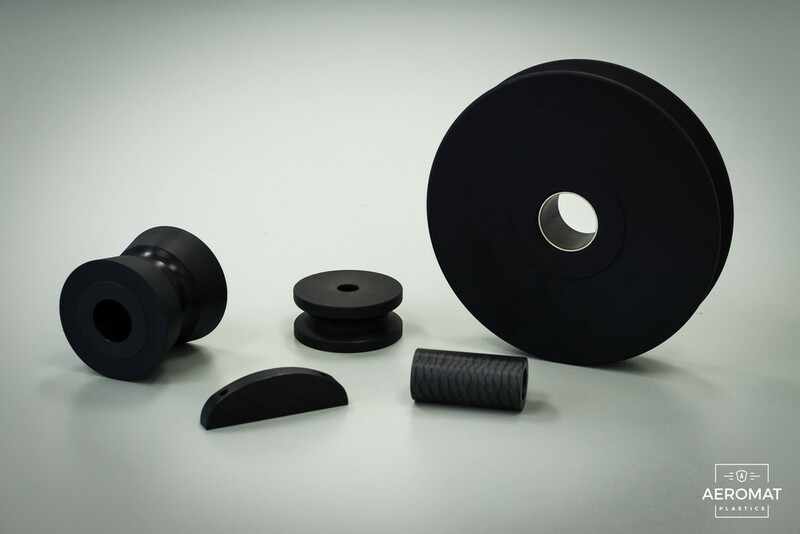 What colors does acetal come in? Typically acetals are found in natural and black colors, but are also available in blue. 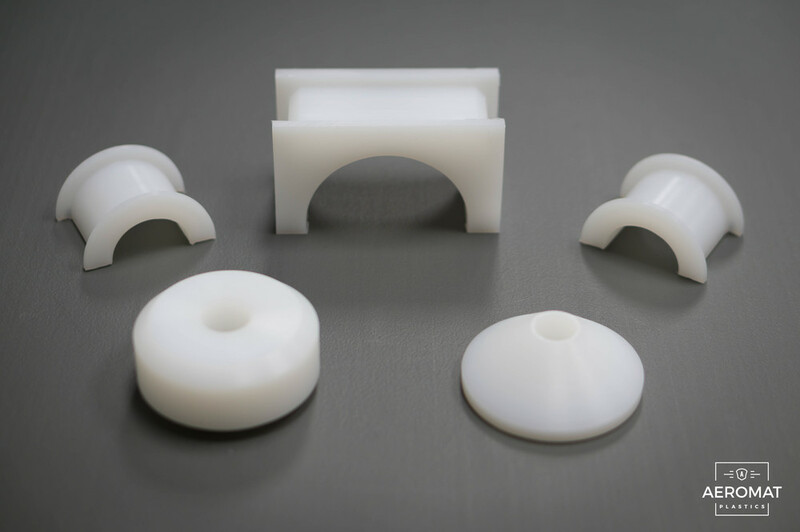 The typical properties of acetal can be found here. It is important to note that these are generic properties and you should request to see that material manufacture's data sheet to verify any given property.